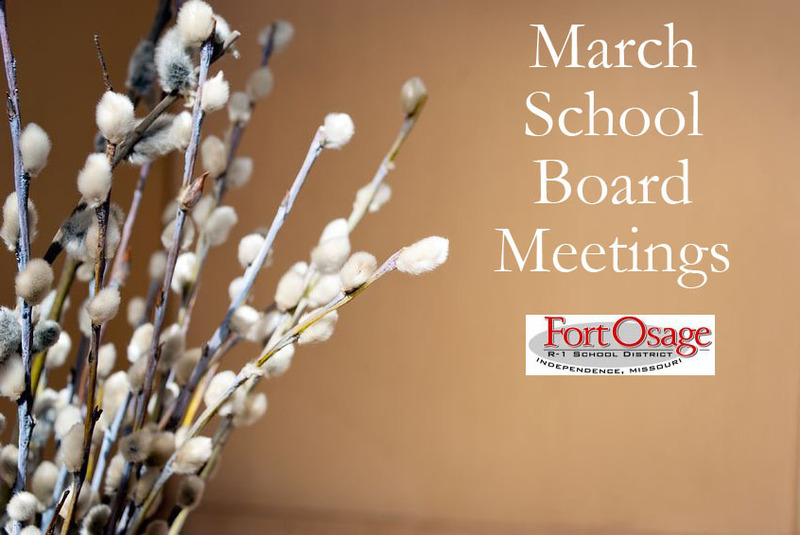 The Fort Osage School District’s Board of Education will meet Tuesday, March 13, at 7 p.m. In addition to routine items on the agenda, such as paying the bills and designating the date students will have to attend school to makeup for a snow day, board members will have a full schedule. A significant topic on the agenda is possible final approval of a policy regarding Communication with Students by Electronic Media. This policy would regulate communication through the use of social media such as Facebook, Twitter and e-mail. A new state statute, The Amy Hestir Student Protection Act, requires districts to approve such a policy no later than March 1. Fort Osage’s approval, if it comes tomorrow night, will be almost two weeks late. Also on the agenda is an update on the progress of construction being funded by $7.8 million in school bonds approved by voters last spring. Roof replacements at Buckner Elementary and the Central Office are already complete, as is installation of new stadium lights. Tentatively scheduled for this summer are roof replacements at the Career and Technology Center and Osage Trail Middle School, HVAC upgrades throughout the district and Fort Osage High School classroom renovation. Other agenda items include budget and legislative updates and a report on the Missouri Highway Patrol’s annual school bus inspection. The Fort Osage Board of Education meeting, which was open to the public, took place at the Gragg Administrative Office; 2101 N. Twyman Road; Independence, MO 64058.